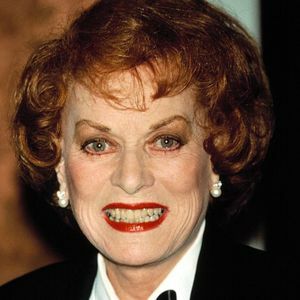 LOS ANGELES (AP) — Fiery-haired and feisty, Maureen O'Hara could handle anything the world and Hollywood threw at her. Director John Ford punched her in the jaw at a party and John Wayne dragged her through sheep dung — real sheep dung — in "The Quiet Man." In "Miracle on 34th Street" she learned to believe in Santa Claus. But first and foremost, she always believed in herself. Add your thoughts, prayers or a condolence to Maureen's guestbook. "My favorite is Maureen's feisty role that made me appreciate John Wayne for more than a cowboy. Beautiful, bold and talented she brought out her finest in "The Quiet Man". God blessed her with a mighty force that she used to entertain millions. RIP"
"Such a lovely lady. her acting was superb Maureen I will still be watching your movies .may god keep you in the hollow of his hand. Norma from Edinburgh Scotland"